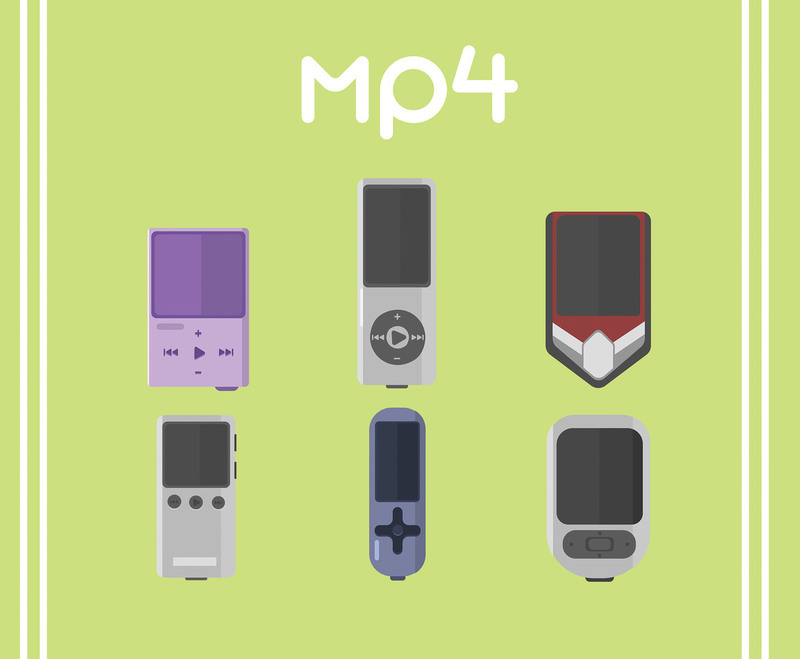 Here is my design of six mp4 player icons from different models and types presented in a green background. I hope you can benefit from it. Enjoy!